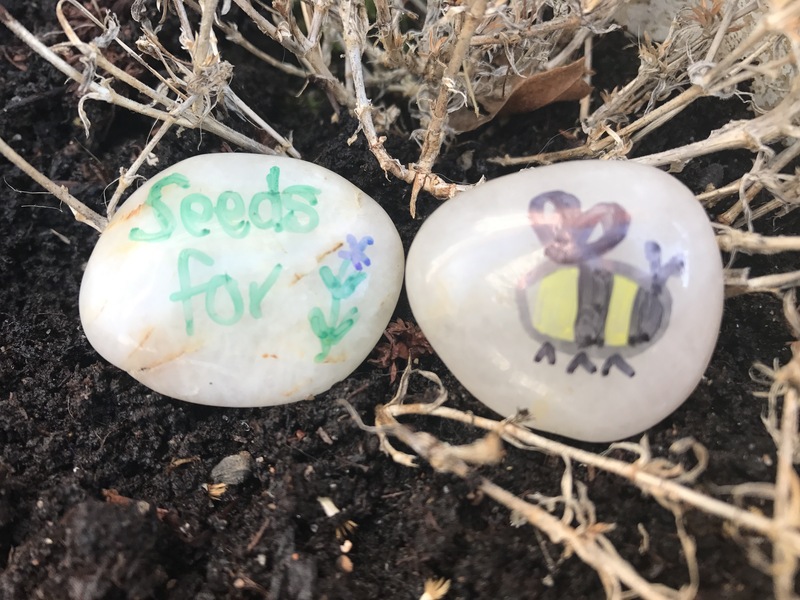 A simple random act of wildness today, sowing seeds for bees. Charity Buglife say that over 97% of all flower rich grasslands have been lost in England since the 1930s, an area the size of Wales. This has reduced pollen and nectar sources and lead to a serious decline in the wildlife depending on wildflower rich habitat, like bees, butterflies and hoverflies. 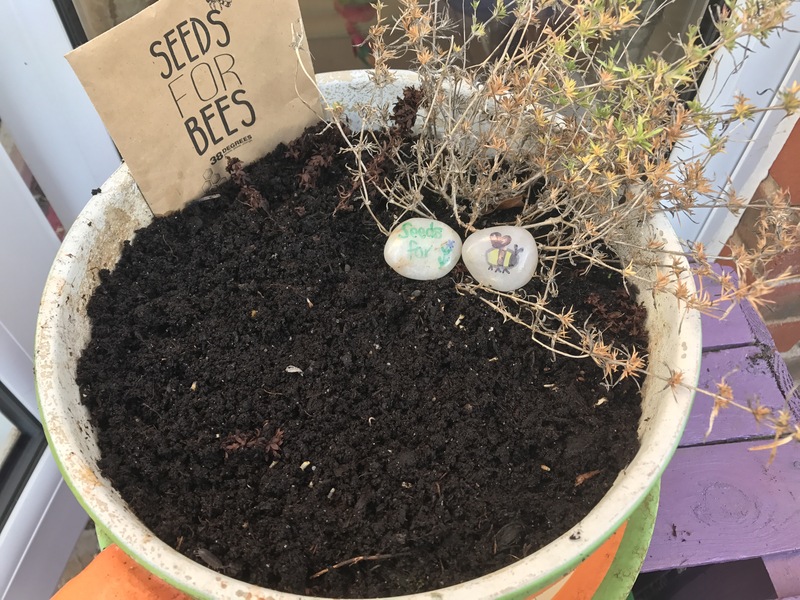 My garden may be small, but I’m adding all the pollinator friendly planting I can, and if we all did this in our own gardens or even just in a window box, it would make a huge difference. My garden, and your garden, are one of 15 million in the UK, covering an area of 667,000 acres, seven times the size of the Isle of Wight. Our gardens could be a huge network of wildlife friendly places, linking nature reserves, wildlife sites and wilderness areas if we all make just a few small changes. Today, I sowed a pack of seeds for bees that I received from campaign organisation 38degrees. 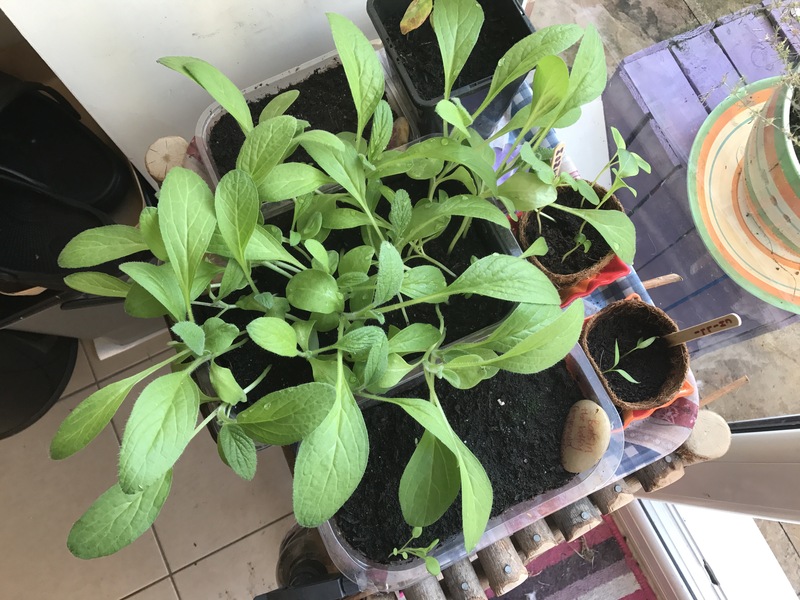 I’ve also been nurturing borage, sown earlier in the month, almost ready to plant out in a sunny spot in the garden, as well as self heal, to add to the lawn and bats in the belfry. These haven’t done as well as the borage but I’m persevering. My seeds are sown in plastic trays that food came in and space found in pots in the garden. Sowing seeds, carefully watering and nurturing them, seeing them start to shoot, it’s one of life’s simple pleasures. It is so satisfying to see something that you’ve planted growing stronger by the day. I’m looking forward to watching bees browse on borage and seeing their beautiful flowers. What have you done to make your outside space more wildlife friendly?